In this high concept psychological suspense novel from the USA Today bestselling author of Somebody’s Daughter, a chance meeting with a woman in an airport sends a man on a pulse-pounding quest for the truth. Joshua Fields takes the same flights every week for work, his life a series of departures and arrivals, hotels and airports. 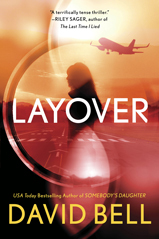 During yet another layover, he meets Morgan, a beautiful stranger with whom he feels an immediate connection. When it’s time for their respective flights, Morgan kisses Joshua passionately, lamenting that they’ll never see each other again. Three months earlier, Jenna Barton was supposed to meet her lifelong best friend Celia. 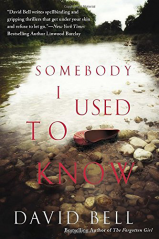 But when Jenna arrived late, she found that Celia had disappeared—and hasn’t been seen again. Jenna has blamed herself for her friend’s disappearance every single day since then. The only piece of evidence is a lone diamond earring found where Celia and Jenna were planning to meet, leading the national media to dub Celia “The Diamond Mom.” And even though Jenna has obsessively surfed message boards devoted to missing persons cases, she is no closer to finding any answers—or easing her guilt. 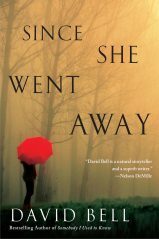 But when her son’s new girlfriend—who suddenly arrived in town without a past—disappears, a stricken Jenna begins to unwind the tangled truth behind Celia’s tragedy. And as long-buried secrets finally come to light, she discovers how completely lives can be shattered by a few simple lies. When Nick Hansen sees the young woman at the grocery store, his heart stops. She is the spitting image of his college girlfriend, Marissa Minor, who died in a campus house fire twenty years earlier. But when Nick tries to speak to her, she acts skittish and rushes off. The next morning the police arrive at Nick’s house and show him a photo of the woman from the store. She’s been found dead, murdered in a local motel, with Nick’s name and address on a piece of paper in her pocket. Convinced there's a connection between the two women, Nick enlists the help of his college friend Laurel Davidson to investigate the events leading up to the night of Marissa’s death. But the young woman’s murder is only the beginning...and the truths Nick uncovers may make him wish he never doubted the lies. The past has arrived uninvited at Jason Danvers’s door in the form of his younger sister, Hayden, a former addict who severed all contact with her family as her life spiraled out of control. Now she’s clean and sober but in need of a desperate favor—she asks Jason and his wife to take care of her teenage daughter for forty-eight hours while she handles some business in town. But Hayden never returns. 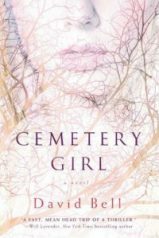 And her disappearance brings up more unresolved problems from Jason’s past, including the abrupt departure of his best friend on their high school graduation night twenty-seven years earlier. 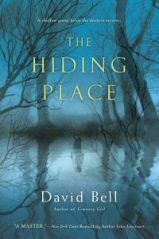 When a body is discovered in the woods, the mysteries of his sister’s life—and possible death—deepen. And one by one these events will shatter every expectation Jason has ever had about families, about the awful truths that bind them. Leslie Hampton always cared for her troubled son Ronnie’s special needs and assumed that her daughter Elizabeth would take him in when the time came. When Leslie dies unexpectedly, Elizabeth is consumed by grief. Then police discover that Leslie was strangled, and they immediately suspect that one of Ronnie’s outbursts took a tragic turn. Elizabeth can’t believe that her brother is capable of murder, but who else could have had a motive to kill their quiet, retired mother? More questions arise when a stranger is named in Leslie’s will: a woman also named Elizabeth. As the family’s secrets unravel, a man from Leslie’s past who claims to have all the answers shows up, but those answers might put Elizabeth and those she loves the most in mortal danger. 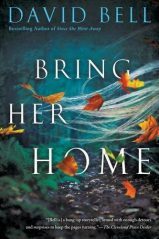 Janet Manning has been haunted by the murder since the day she lost sight of her four-year-old brother in the park. Now, with the twenty-fifth anniversary of Justin’s death looming, a detective and a newspaper reporter have started to ask questions, opening old wounds and raising new suspicions. Could the man convicted of the murder—who spent more than two decades in prison—really be innocent? 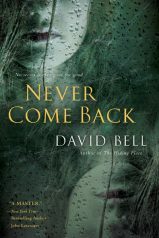 Janet’s childhood friend and high school crush, who was in the park with her that day, has returned to Dove Point, where he is wrestling with his own conflicted memories of the events. And a strange man appears at Janet’s door in the middle of the night, claiming to know the truth. 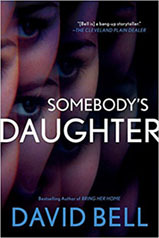 Soon, years of deceit will be swept away, and the truth about what happened to Janet’s brother will be revealed. And the answers that Janet has sought may be found much closer to home than she ever could have imagined. Tom and Abby Stuart had everything: a perfect marriage, successful careers, and a beautiful twelve-year-old daughter, Caitlin. Then one day she vanished without a trace. For a while they grasped at every false hope and followed every empty lead, but the tragedy ended up changing their lives, overwhelming them with guilt and dread, and shattering their marriage. Four years later, Caitlin is found alive—dirty and disheveled, yet preternaturally calm. She won’t discuss where she was or what happened. 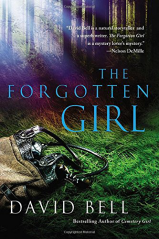 And when the police arrest a suspect connected to the disappearance, Caitlin refuses to testify, leaving the Stuarts with a choice: Let the man who may be responsible for destroying their lives walk away, or take matters into their own hands. And when Tom decides to try to uncover the truth for himself, he finds that nothing that has happened yet can prepare him for what he is about to discover. David loves it when book clubs read his work. He is happy to attend book clubs that read his novels—either in person or via Skype. Email him to make arrangements.